In a world where we spend a whole lot of time locked into our electronic devices, it seems like there is less and less time spent connecting with our real life neighbors. I don't know about you guys, but I've only met a handful of people in my neighborhood, and I don't even know most of their names. This feels like such a change from my childhood, where we knew everyone living in the houses that surrounded us! I love sharing online, and I love the community that exists through social media, but I also think it's important to join together with the people who share a street with you - and it's something that I'm determined to work on as the summer continues. It's such a simple (yet powerful!) 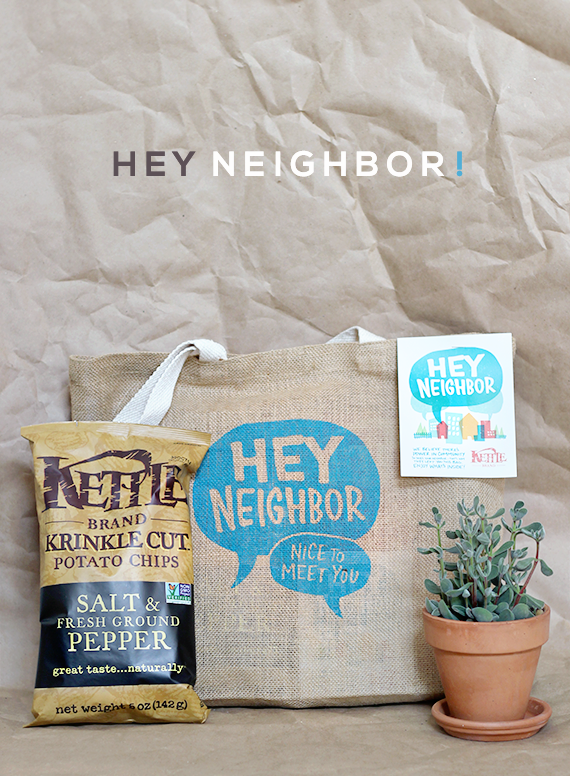 act to bring a neighbor a small gift like a houseplant or some snacks, or even to just say hello. 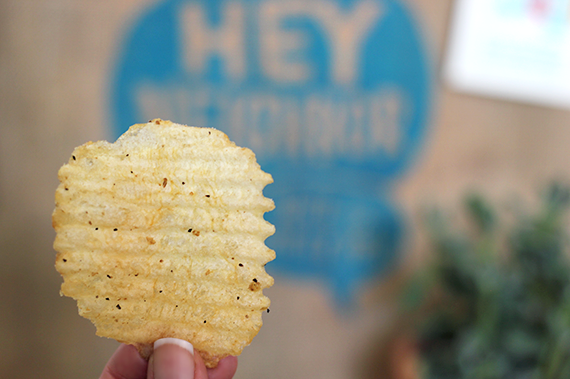 Speaking of neighborhood connections, I'm sure you're familiar with Kettle Brand - I've personally been a huge fan of their fresh, delicious chips for years. 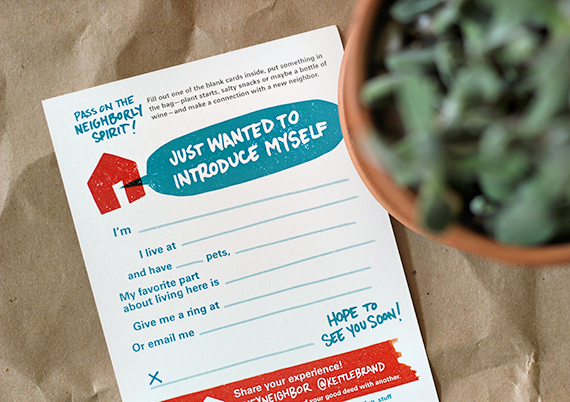 This summer, they're kicking off their "Hey, Neighbor" program, which is designed to inspire neighbors to connect, with the ultimate goal of establishing strong communities - something they have been committed to for more than 30 years. They recently sent me a sharing kit that contained two super cute tote bags, each filled with snacks - one for me, and one to give to a neighbor. The kit also came with a fun "Get to Know your Neighbor" card. So I filled out the card and brought one of the totes over to a neighbor's house. And they were stoked! Their names are Nick and Alicia, they have two dogs, a baby only a few months older than Essley, and they're awesome! (And they told us the next day that they were big fans of the Backyard Barbeque flavor. We are too!) I think it's really cool that Kettle put together such a positive program - one that genuinely motivates us to build solid relationships in our neighborhoods. And now for the best part... Two of you are going to get "Hey Neighbor" kits of your own - one for yourself, and one to share with a neighbor! This giveaway will run through July 23rd, 2014 and is open to Bubby and Bean readers with a U.S. shipping address. 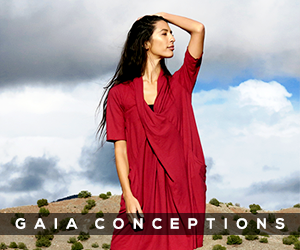 The winner will be randomly chosen and announced here shortly after. If you want to join in on the fun right away (or if you're not one of the lucky winners), you can purchase a summer sharing kit at www.buykettlechips.com throughout the summer. 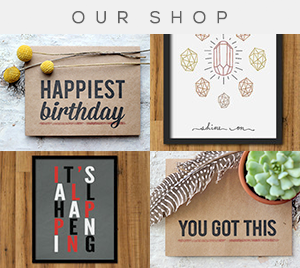 (They're only $9.99, which includes free shipping! Woot!) 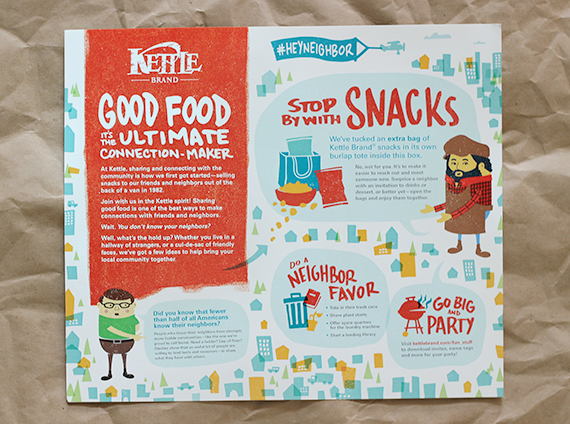 And if you want to really want to go big and organize a neighborhood party, Kettle Brand has developed all the tools to make it easy, including invites, name tags and "Get to Know Your Neighbor" cards, which are available for free download right here. 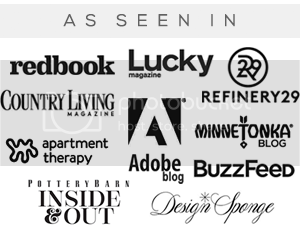 This post/giveaway is in partnership with Kettle Brand. All opinions are my own. Thank you for supporting Bubby and Bean by allowing me to share occasional sponsored content. Spicy Thai looks amazing! I already love their regular kettle chips. Mmmmm. 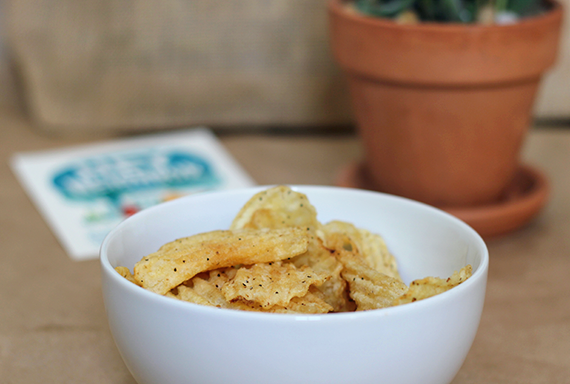 mmmm, olive oil kettle chips! 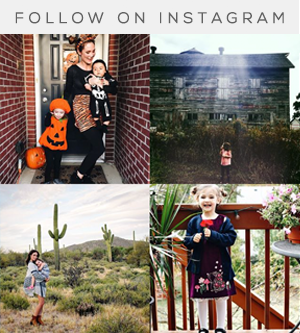 I seriously giggled with excitement when I saw you were doing this giveaway! Kettle Brand is my favorite. Lately though I have been indulging in the Salt and Pepper! I honestly think this might be my all time favorite brand of chips! My favorite flavor is the sea salt! Love the Sea Salt or plain! The Buffalo Bleu are delicious!!! And too spicy for the rest of my family so I dont even have to share!!! I haven't really tried Kettle chips (but love the popcorn). I think I would really enjoy the sour cream and onion. My favorite flavor is the Sweet Onion! <3 them! New York cheddar sounds so good!! The Backyard Barbeque is my favorite flavor.. so far! Thanks for the opportunity to try more flavors! They all sound so delicious! We love the Backyard BBQ flavor. 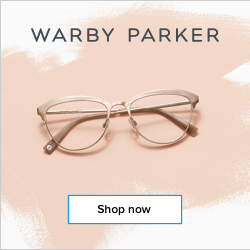 I think this is a great giveaway! I actually have brand new neighbors that I have yet to meet. a great giveaway Melissa :) Kettle is one of my fave chips brands. we love salt and vinegar. thats our absolute favorite flavor. I love Kettle Brand! This is such a fabulous idea. If I don't win, I may just do a little copycat thing to spread some neighborly good juju. The Backyard Barbeque flavor sounds nice! I had no idea there were so many different flavors! I'd love to try the Sweet and Spicy, Spicy Thai, or my go-to absolute favorite - salt and vinegar! I'm moving to a new house next week, and I can't wait to meet my new neighbors. This post really inspired me to make an effort! My favorite is Sea Salt.